As Business Development Officer, Joy Rodino continues her longtime commitment to advocating for women. 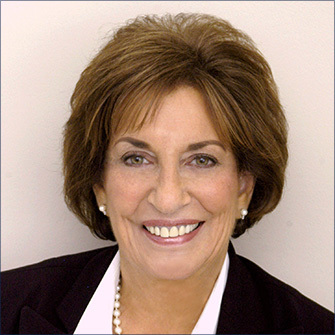 Her legal career has centered around public interest law – managing investigations of national companies for compliance with consumer protection statutes for the Federal Trade Commission; prosecuting child abuse and neglect cases as First Assistant County Attorney in Sullivan County, NY; serving as Pro Bono Counsel for the Seton Hall Law School Family Law Clinic; representing abused and neglected children as an Assistant Deputy Public Defender/Law Guardian in Passaic County, NJ; and representing the Passaic County Board of Social Services as Associate County Counsel. Joy was married to Congressman Peter Rodino from 1989 until his passing in 2005. In 2009 she authored a book about the Congressman’s reverence for the Preamble to the Constitution, titled FIFTY-TWO WORDS MY HUSBAND TAUGHT ME, Love, Inspiration and the Constitution. She is also a Reiki Master and Certified Cymatherapy Practitioner.